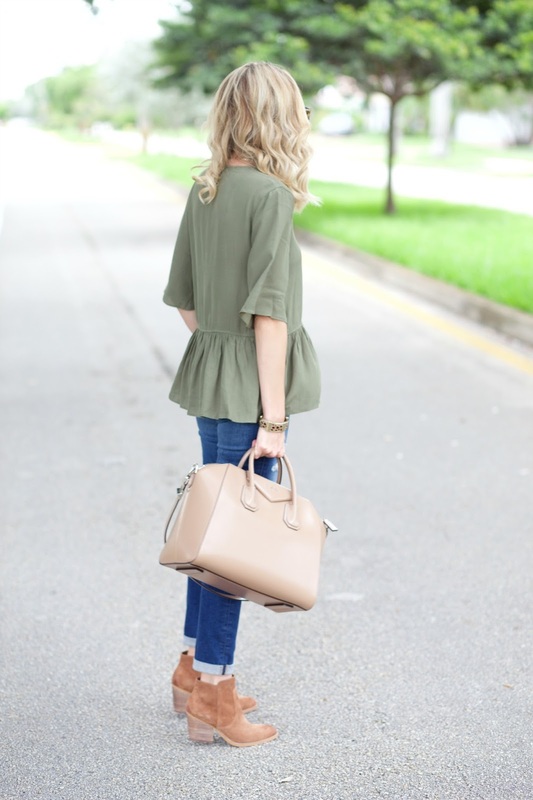 This peplum top is a new favorite of mine. I Also got it in black! It runs big so I recommend sizing down. 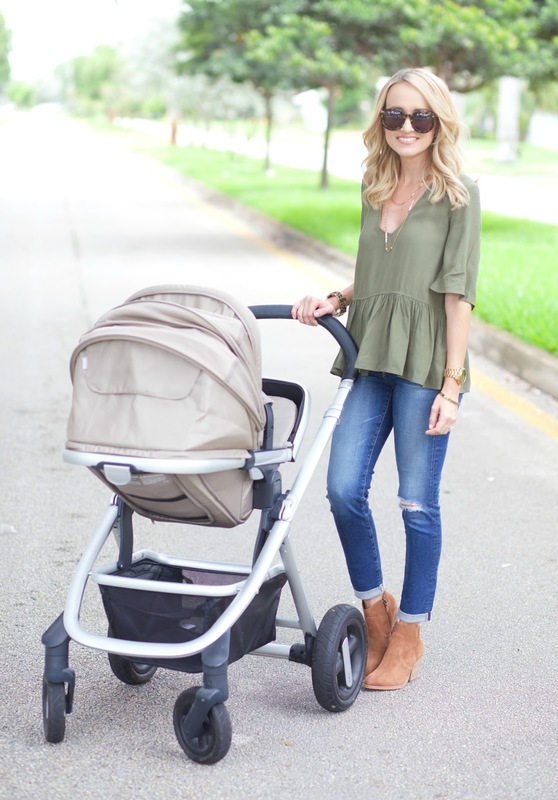 It is such a great basic to have in your closet and this color is great for transitioning to Fall. My booties are on sale but they are sold out in this color. I linked a couple of others that I love that are also on sale. This looks so adorable!! Great top and bag! I am so in love with these booties! I love the ones you linked that are on sale. I need to buy them. I love this outfit! I'd love a pair of boots like those. This bag is so cute! Great color for Fall! This bag is so cute! Great color for Fall!The look is absolutely sweet, edgy, stylish and chic. Yasss, and everything points to the beautiful lady. Greeny Green was really good and nice on you In case your proceeding the metropolis way, it is advisable to ask around concerning where you might Female Talent get your current demonstration done. Where by accomplish additional voice over stars go for their own? What makes their own demo appear? Such a cute top! It will look so cute layered for fall! That peplum is a definite must have. You look gorgeous even with a baby, we should not sacrifice our sense of fashion even if we have children. I've written several reviews of grabmyessay service about mom's fashion, please check it our soon.